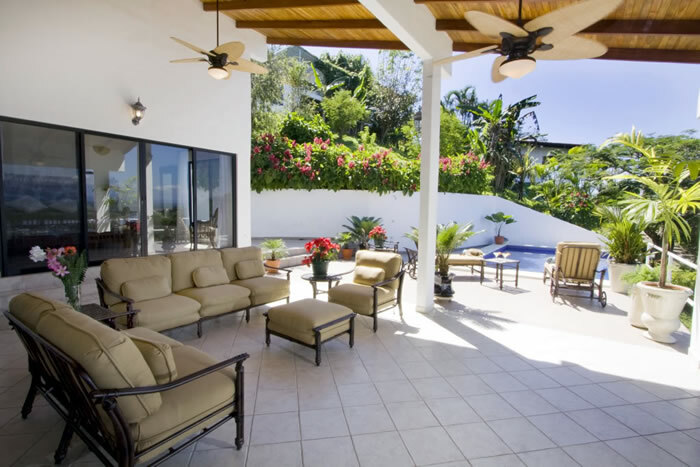 This fabulous oversized homes debut in late 2011 makes Casa del Toro one of the newest and most popular vacation rental homes available in the area. 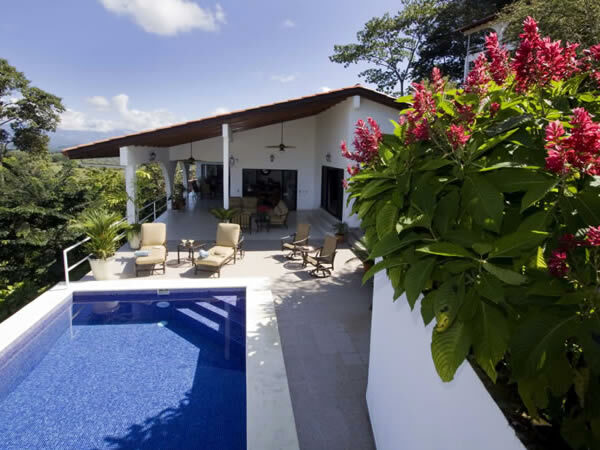 Only minutes from the newly built Quepos Marina, home of World Class Sport Fishing, this beautiful holiday rental home is only minutes from the internationally reknown Manuel Antonio National Park and Beaches. 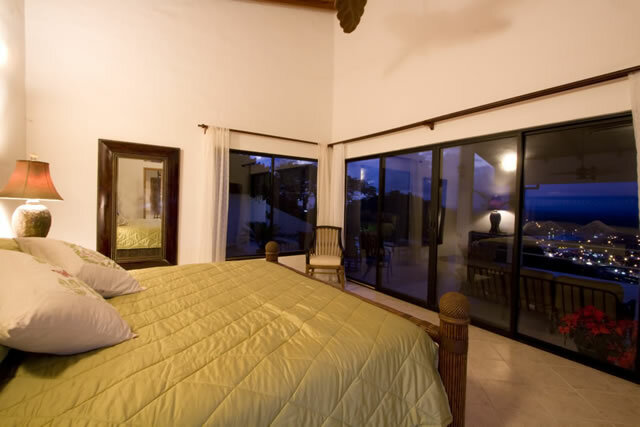 Designed and built by a local award-winning architect, Casa del Toro’s uniquely tropical “Western” theme pays tribute to it’s owner, Champion Bullrider and Rodeo Promoter, Jerome Robinson. 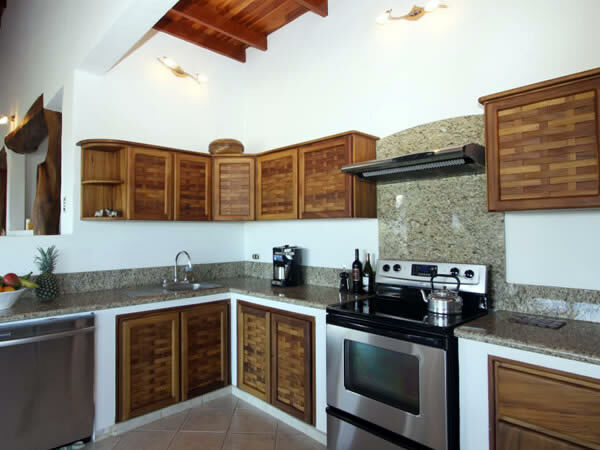 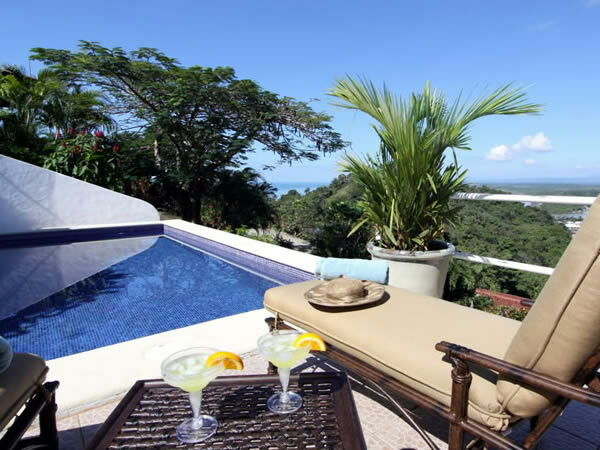 This casually elegant vacation rental house features stunning ocean and rainforest views from all angles, with impressive cathedral ceilings of precious hardwoods throughout and a large modern kitchen and dining area. 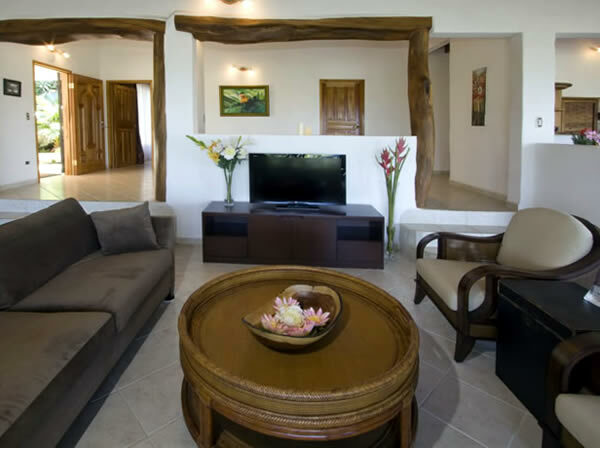 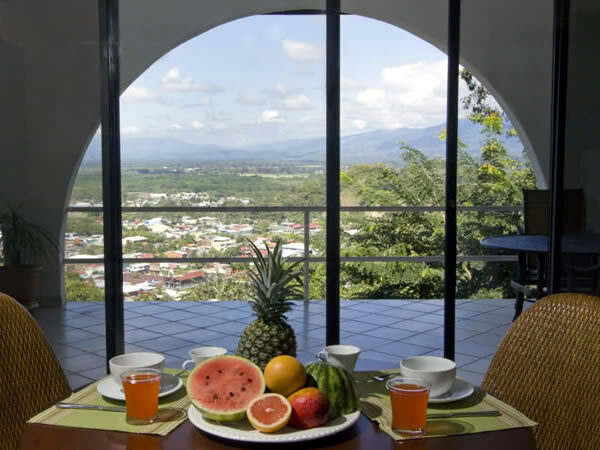 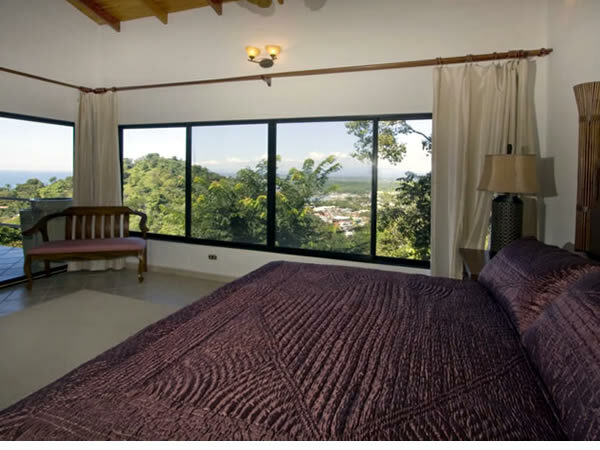 The 3 spacious bedrooms, 3.5 comfortable bathrooms and the extensive oversized furnished outdoor living and dining area located near the private pool, are all perfect for making the most of your exotic Costa Rica vacation. 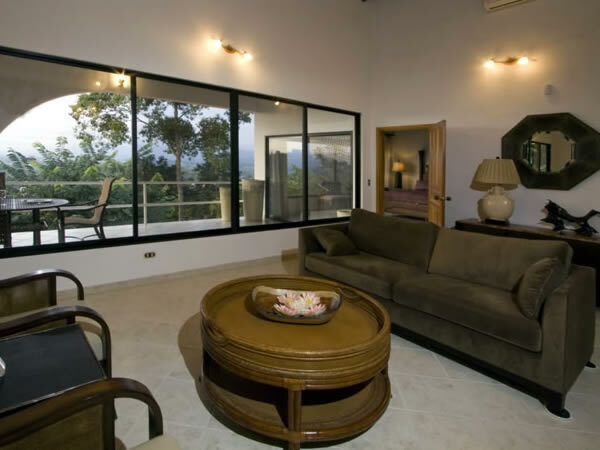 This home is located in the exclusive Pajaro Azul Complex and not only boasts beautiful ocean and coastline views, but also offers beautiful views of the Quepos town lights at night, a unique feature that few other homes in the area can offer travelers. 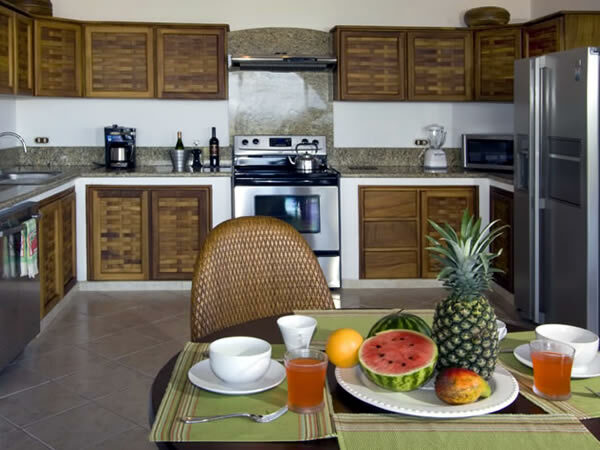 Weekly rates range from $2100-$5000 depending on season. 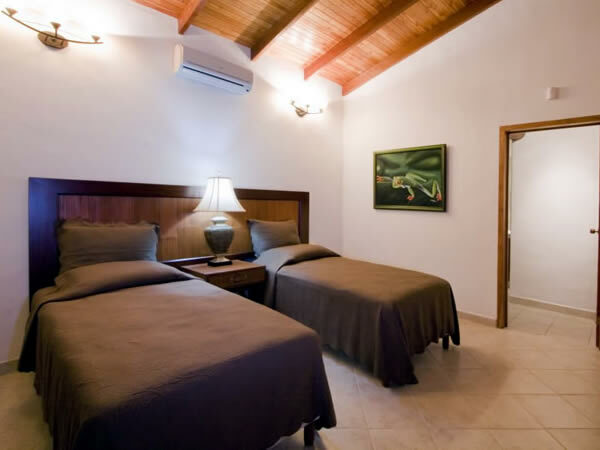 Nightly rates start at $350. 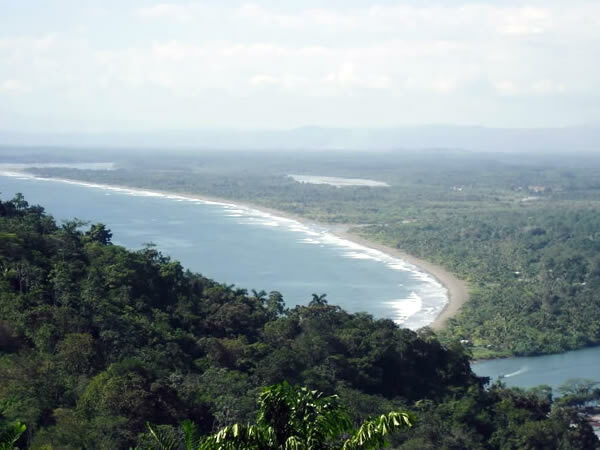 Low Season May-Dec …. 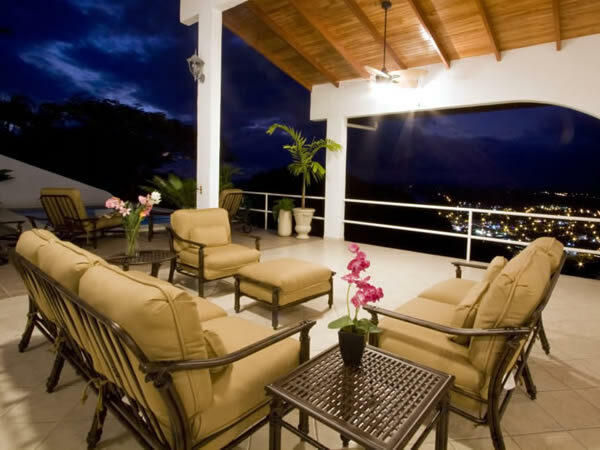 $2100/wk or $350/nt, Ask about last min discounts! 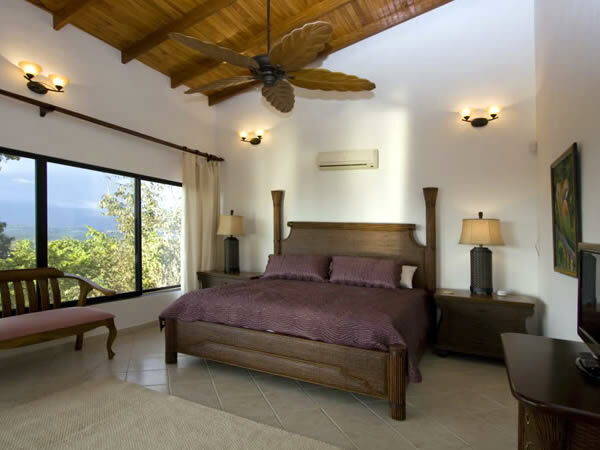 High Season Jan -Apr … $2500/wk or $375/nt, Ask about last min discounts! 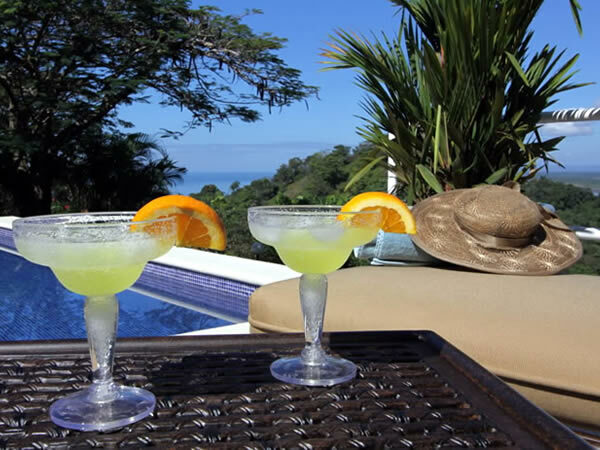 Cxl: 31 Days Prior, Holiday Wks 61 Days Prior, both less 5% Processing Fee Due to strict CXL Policies, Casa del Toro recommends Trip Insurance for travelers.